After qualifying from medical school, Dr Idango Adoki trained and qualified as a general surgeon. 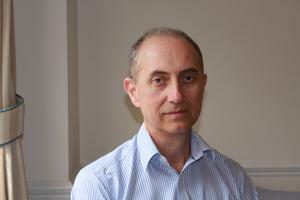 He switched to general practice in 1993 when he became a partner in a group practice in Eastbourne. He left there to establish the Harbour Medical Practice in June 2003. He is very enthusiastic about all aspects of general practice with particular interests in diabetes, hypertension and heart disease. He is a keen medical educationist and acquired his Certificate in Medical Education in 2007. 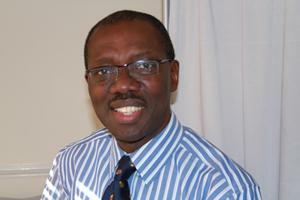 As well as being a local GP Tutor, he is a GP Appraiser and Organiser. He is a tutor in the Brighton and Sussex Medical School. He enjoys life with his family and has a keen interest in fine wines. To keep fit, he plays squash regularly and golf less frequently. 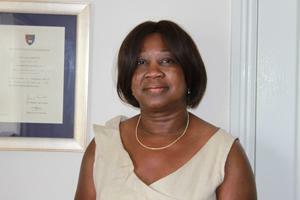 Dr Celestine Trawin has recently joined the practice. She is currently working on a Tuesday, morning and afternoon and on Fridays, morning and afternoon. Please call the surgery to make an appointment to see her. She enjoys the varied challenges of general practice and has a specialist interest in all aspects of contraception and Sexual Health. She also teaches medical students in the practice. She enjoys her home life and time with her family. She also enjoys travel, reading and walking. We have some very experienced GPs who work with us in the Practice on a temporary (locum) basis. They are available for patient consultations and home visits when needed. Some also help with administrative work within the practice. The Practice Nursing Team is led by Paula CORNELISSE. The Team undertakes general nursing duties including wound dressings, vaccinations, cervical smear tests, taking of blood samples, health checks, contraception advice, travel advice and general health advice. They also play a major part in the care of patients with asthma, COPD, diabetes, hypertension and heart disease. Our Practice Manager oversees the smooth running of the Practice. She is in-charge of administrative and financial matters of the Practice and is keen to hear your views about how things are going for you, our patients. Please contact her with your comments, good or bad. As well as being involved in the planning of our policies and procedures, she oversees the day-to-day running of the practice recall systems and the IT systems. In-charge of patient services and also co-ordinating the work of the office staff. She sees to the smooth-running of the office a well as organises the appointments systems for the GPs. She would like to hear your suggestions and opinion about services in the practice - good or bad! The office staff keep the engine of the practice running. The receptionists, like the rest of the team, aim to give you a friendly and helpful service. Please be patient with us if sometimes you have to wait to be attended to. The community midwives run a weekly antenatal clinic in the practice. These are by appointment only. Please ask at the reception desk for details.